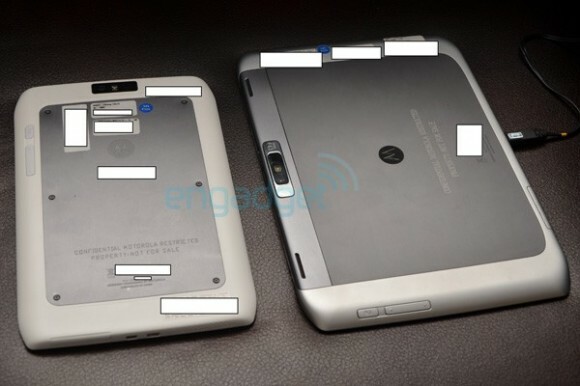 Finally leaked are some amazing spy-shots of the Motorola’s two new tablets projected for this holiday season. The XOOM 2 will debut in 8″ and 10″ models, and both sporting Verizon’s lightning fast 4G LTE. And recently, if a device doesn’t support 4G – then it can no longer compete with those that do. We recently saw some blurry-cam pics of the devices last week, yet mistook the 8.2″ tablet for 7″. Following suit with many recent tablets announced, the Motorola XOOM 2 models will be extremely thin at 9.3mm. The beveled edges resemble that of the Motorola Photon 4G and the Electrify, and personally gives it a uniquely manufactured look. Oddly enough, both tablets actually run under the same codename “Fleming” – could Motorola choose the one that performs the best? It seems silly to manufacture both devices to this industrial point and then out one of them. These tabs will be running Android 3.2 at time of launch (which is still undetermined), but stability of the OS over the hardware is very poor at this point with frequent reboots and crashes. We still have no idea what the specs will be on these two slates other than dual HD cameras on the front (2MP) and rear (5MP), but knowing it will give us some amazing 4G speeds should be enough for now!